My wife and I have shot about 300 rounds through our sp238's without a single issue. We actually used this ammo to qualify for our renewal of our concealed carry. This is my go to range ammunition of choice. I use it almost exclusively. It's not the cheapest but who cares it's quality at it's best. It makes for excellent targeting in my Ruger LCP II. I have used 300 rounds of PMC .380 in my Sig. I have not had a FTE or FTF so far. 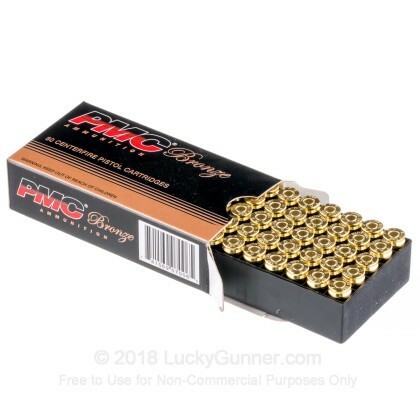 The ammo is clean and I love the speed and customer service of Lucky Gunner. Will order again!!!! Glock 42 guys who say they have problems with this ammo: check the back of your magazines and see if the have an 01 or 02 or 03 at the bottom. If it is an 01 or 02, send your magazines back to Glock and get the 03 magazines. They will exchange them at no charge to you. If you have the 03 mags, PMC will work fine with your Glock 42. Get the 03 mags no matter what ammo you shoot. Lucky Gunner is a good find for me and this PMC ammo is real value. I've purchased several times from Lucky Gunner and have been impressed each time. Ammo is clean, shipping is quick and on time, priced comparable to other sites and fires good. Thanks Lucky Gunner! I bought this quantity a year ago or so and now it's my range ammo of choice. The price was good back then so I've been using it quite frequently. Thanks Lucky Gunner for one of my better deals. 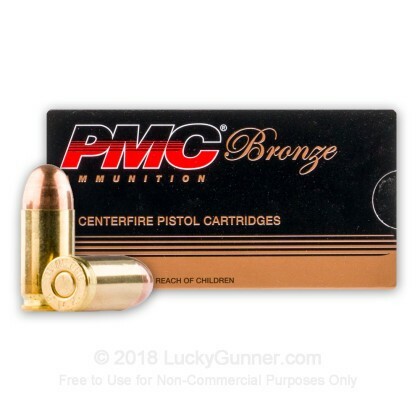 Great product, I have used the PMC Bronze for years, as noted above I have had zero issues with this round in my G42 , (that said I use this for practice/plinking mostly and run Precision One 90grn XTP +P for SD in my 42 which has been tweaked with lighter trigger, polished and throated, SOP for all my SA pistols) and other 380s from Colts to no-name ones belonging to others that sometimes bring them by for TLC. Lucky Gunner is a terrific seller IMHO, I always get prompt delivery and well packaged (as the shippers it appears are apt to toss it from state to state, it appears sometimes) and love the fact that I know whether it is in stock before ordering. Thanks LG, for when I'm looking for ammo, I always check here first and unless I find it cheaper elsewhere, as Arnold says, "I'll be Back". Great Price for a great product!!! If you are looking for a larger quantity of ammo for a great price, look no further. I use this ammo in Sig P238 and have never had a problem. Outstanding training ammo and highly recommend for its reliability. I've used this ammo in the past and had no problems at all. Great place to buy ammo at a great price. Very accurate, good price, as always fast delivered. The pricing is good. I use it in my Glock 42 and in another .380. With the Glock I have had some hang ups, but I think it is not the fault of the ammo. Will buy from Lucky Gunner again. Thanks. I have had no problems and gun shoots well with this ammo. I use at the indore range in a Ruger LCP. Have used this in 2 different guns and has functioned without any malfunctions. Combined with its lower cost per round than others, I believe I will get more of it when I need more of it. Not so much in a Glock 42. Like the previous poster (Review by JP. (Posted on 12/24/15), I too had problems with this ammo in my Glock 42. Lots of FTE. Seems the 42 likes hotter ammo. I dont think its the ammos 'fault' tho. Buyer's remorse: Will NOT work in Glock 42! Fantastic customer service at LG. No complaints there! Super fast shipping. Product arrived in pristine perfect condition. However, the story changes drastically when this ammunition was used in my Glock 42, Prior to purchasing this product, I had an online chat with one of the LG staff. Based on the information from that chat, I chose this ammo for range practice. I had specifically asked if 90 grain would be enough for the 42. I was assured that it would be. I headed to the range with 2 boxes (100 rounds). Without exaggeration, for every successful firing, there were 5 stovepipes and other feed failures (6 round magazine). I had with me a box of 95 grain rounds that I had purchased at the same time I purchased the Glock 42. 100% of those fired with zero problems. Now I have a case (less 2 boxes) of 90 grain .380, that serves as a very expensive door stop. Not happy about throwing away over $300 dollars. My recommendation: Do NOT purchase this ammunition... or any .380 90 grain ammunition... if you are using a Glock 42. I just bought a Glock #42 for carry. This ammo is working great with this rather temperamental gun. this is the only ammo i found without problems. Great product, get price, great service! My first experience with LuckyGunner was great! Convenient, fast and value. What more could you ask for?! Good ammo for my wife's sig. No ftf and accurate enough for her. I have purchased 380 and 9mm from Lucky Gunner and have been very satisfied with my purchase and their service. I will be using them again for more 9mm and 223 in the next week. Just finished shooting 100 rounds in my Glock 42. Clean and accurate. Have 900 more to go. Love this ammo. I have tried different brands and found this to be the best for my gun. Just missed the sale price. I will be looking for more in the future. Ran a hundred rounds of this ammo through my brand new Glock 42. After a few feed problems in my first three mags, I realized it was my grip on the 42 that was causing the problem. No feed problems once the grip issue was corrected. I recommend this ammo for range use, and plan to order from LuckyGunner again. As has always been the case with Luckygunner the product was shipped on time and arrived intact. The quantity and quality were right on spot. I did not use these rounds but my wife did and she was super pleased. Great doing business with you folks. Thanks, Chris and Mike. I got a few boxes of these for my newly bought 380 Bersa Firestorm and these have been the smoothest ammo I have tried so far. 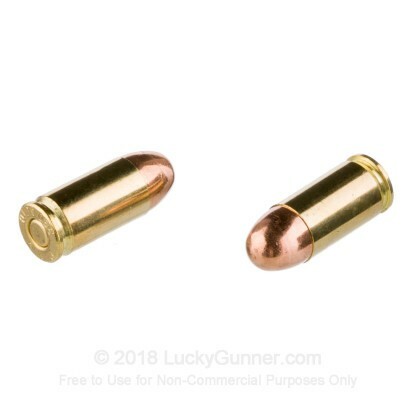 I tried 3 different ammo brands and these will be my next big purchase. Thanks Lucky Gunner!! As usual, you provided quick delivery and a good price for fine-shooting ammo. Fired 100 rounds with my 380bg had only two that required a second pull to fire. Burns clean, and cheap enough to shoot weekly. I recently bought 1,000 rnds of .380 PMC as well as 9mm and .223. I continue to come back to Lucky Gunner because of the value and great service. My wife uses this at the range for 238 and has no problems whatsoever. No matter where we look for ammo Lucky Gunner always has the price and service hands down. You can usually save a buck a box by shooting something cheaper, but I've never had a problem with PMC. Loads, fires, and ejects without a problem. Seems to shoot cleaner than most others I've used as well. I picked up a new Ruger LCP so I came to Lucky Gunner to buy some ammo to play with. 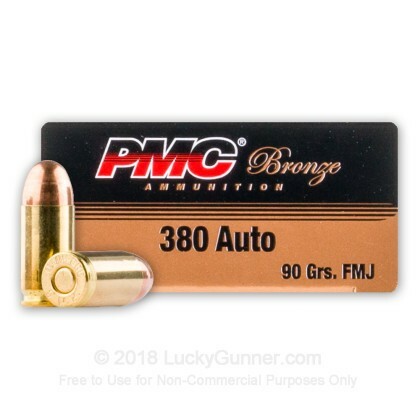 I was surprised that the 380 cost more than the ammo for my 9mm but from what I have read that is normal. I have shot over 150 rounds and have not had a problem. If I keep shooting this much I will need to learn how to reload! I have not shot any of the ammo yet, need a nother long weekend! Shot a couple hundred rounds through my Colt Mustang 380 and S/W Bodyguard with out a hitch. Three thumbs up. G42 preformed well with the pmc brand. I've been told that with certain amo they will jam or stove pipe. Not with this selection. I have cycled through 300 rounds flawlessly. I've already reviewed this product but I just had to say that LuckyGunner out did themselves this time, the price was too good to pass up. 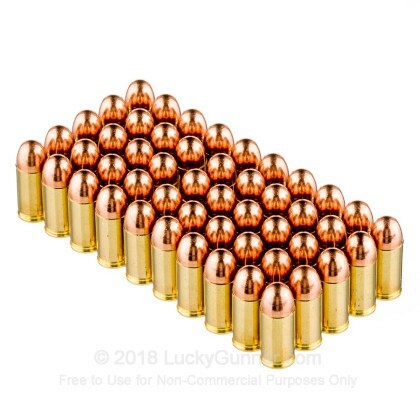 I use quite a bit of this ammo at the range and have had no problems with it. My Ruger LCP performs well with it. Although 380 rounds are expensive from anywhere I found LuckyGunner to have the best price. The brand I purchased I have used prior. LuckyGunner is my trusted ammunition supplier and I have always found them helpful and the website easy to use. A good experience all around. Have fired over 1000 rounds of PMC through my Sig p238 without any problems. Great target rounds at a great price. LG communicates well and ships fast. I'm buying all my ammo here now. As always got great service and a quality product. Prompt service and good quality. First time I bought from Lucky Gunner. It won't be the last. No miss fires, clean burn. All around great ammo. My 2 Bersas eat them up. Shot 250 rounds in my Bersa Thunder 380. All rounds fired without incident. Will continue to use LG as my main source for bulk ammo. Good prices with fast shipping. Purchased for range practice, works well. I've put 300 rounds through my Colt XSP with no issues at all. Put 200 rounds through my daughter's Bersa duotone out at Golden Pond. Feeds great, no FTF, but dirty, dirty. Clean very thoroughly after using. All in all a great value and shoots nice tight groups out to 20 yards or so. Just bought kimber micro 380 and this was first ammo I used. 200 rounds and had 2 FTF. Cleaned gun and shot another 200 rounds with no FTF. Ammo does shoot dirty but I use it in 3 other 380's with no problem. With current lack of 380 ammo it is the best option. Excellent service. Will definitely use Lucky again for future purchases. It would be nice to see the price of ammunition come down. Bought a Glock 42 and was anxious to shoot lots of rounds. Although other sites were "out-of-stock", Lucky Gunner had the ammo, albeit not the most economical. I got what I wanted, exactly as advertised, even more conveniently than I anticipated. When things loosen up, I won't forget that LuckyGunner was there when I needed them! We shoot abuot 100 rounds a week at the range. Have not had a miss fire yet.Lost a few rounds but that is another story..
No malfunctions feeding or shooting, burns clean, little fouling in a Sig Sauer P238. Fast service by LuckyGunner as always. This is a much better price than I paid several months earlier at LG so a fantastic buy. Great ammo shot perfect out of my wifes Walther PK380 she loved it shot straight no misfires. Ended up ordering 4 more boxes. As for LuckyGunner fast shipping no out of stock. 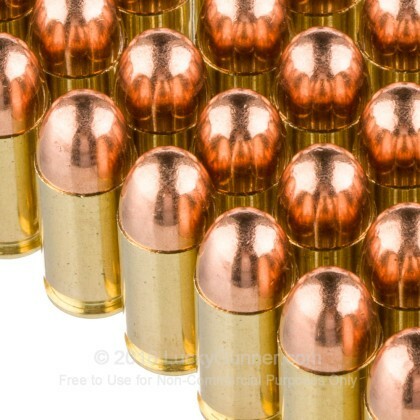 Shipping is always cheaper when you buy a larger quantity so I always throw in a few boxes of .40 for my gun. This ammo is very accurate with my Ruger special NRA edition. The full metal jacket is great for target work and when you get 1000 rounds you have a lot of fun. I have a walther pp .380 i was having trouble with FTE's and if it did eject would jam the next round.Bought150 roundsof PMC bronze, problem solved!! NOT 1 jam or failure to fire. Lucky Gunner has great service and ships quickly. I will definitely use them again! Bought these for my sister's new Sig P238...a great round that has always been problem free. PMC Bronze is all I use in my Kahr P380. Over 500 rounds and I've never had a misfire or fail-to-fire. Always cycles great and is relatively clean. I felt good enough about this ammo to buy 1500 rounds of 380 Auto and 1500 rounds of 5.56mm. Bottom line...you won't be disappointed. Not one problem with these rounds in my Diamondback DB390. Cycled well and clean shooting too! We also have this 380 Auto - 90 Grain FMJ - PMC - 50 Rounds ammo in stock in a smaller quantity.